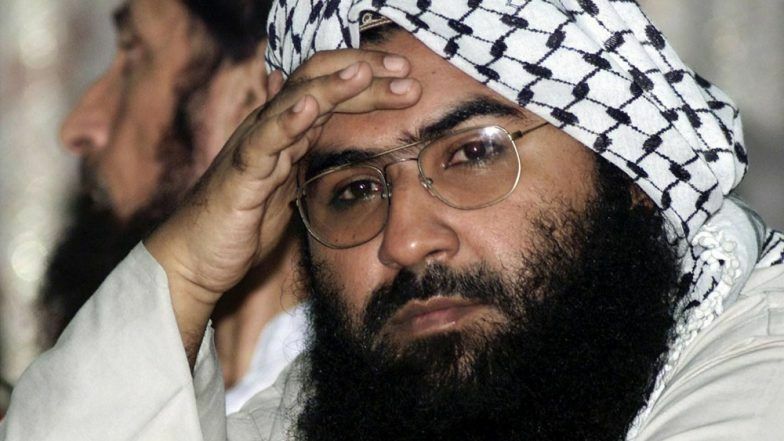 New Delhi, March 20: Germany has initiated a move at the European Union to designate Jaish-e-Mohammed chief Masood Azhar as a global terrorist, days after China blocked a bid at the United Nations to ban him, diplomatic sources said. They said Germany was in touch with several member-nations of the European Union to list Azhar as a terrorist which will result in his travel ban as well as freezing of his assets in the 28-country bloc. Here’s How China Blocked the Listing of Masood Azhar at the UNSC. Germany has floated a proposal to ban Azhar by the European Union, but no resolution on the issue has been moved yet, diplomatic sources said Tuesday. They said all 28 member-countries of the European Union will have to support the move to ban the Pakistan-based terrorist as the bloc decides on such issues under the principle of consensus. On March 15, France imposed financial sanctions on Azhar and said it will work with its European partners to put the JeM chief's name on the EU list of persons and entities involved in terrorist acts. The decision by France came two days after China put a hold on a fresh move to designate Azhar a global terrorist by the Sanctions Committee of the United Nations Security Council. The proposal to designate Azhar under the 1267 al-Qaeda Sanctions Committee of the UNSC was moved by France, the UK and the US, in the wake of the Pulwama terror attack in which 40 CRPF personnel were killed. JeM had claimed responsibility for the Pulwama attack. Fourteen out of the 15 members of the UN Security Council supported the proposal, but China was the only country which did not go with the move.